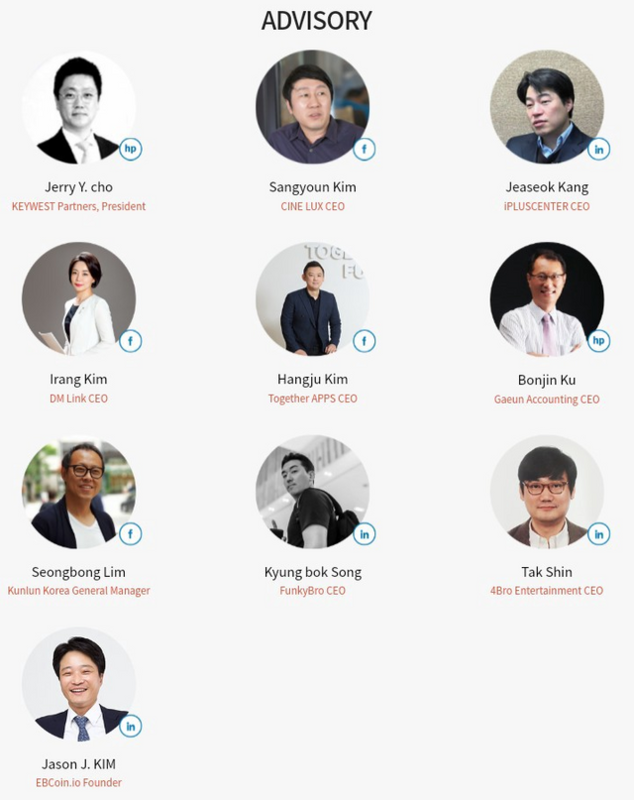 Hi friends, let me let you in on an incredible news, it’s INFLEUM - The Blockchain Based Brand Publishing Platform!!! The buzz about cryptocurrency is increasing, people have heard about it, and more and more people want to find more about it, and find a way to be a part of it. When blockchain technology came, so many things changed, for better, we say. So many businesses have improved, so many companies have started using crypto currencies in their work. The new ideas are coming every day. People want to invest in the new projects. We have the biggest tool in the world, and it is called the Internet. The internet is a enormous base of information where we can do anything. Internet has connected the entire world. One of these projects is INFLEUM, a blockchain platform created by ELSOL COMPANY that aims to create a transparent trading structure in which an individual’s small ideas or actions may translate into profit. INFLEUM breaks down the boundaries between industries and distinguished roles, and makes possible the impossible task of free participation and fair rewards through the blockchain. INFLEUM’s structure creates a transparent trading platform ready to benefit all users. 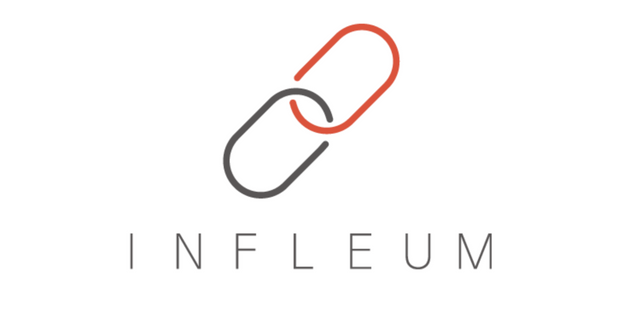 INFLEUM is a blockchain platform created by ELSOL COMPANY that aims to create a transparent trading structure in which an individual’s small ideas or actions may translate into profit. INFLEUM uses blockchain technology to realize a transparent trading structure where individuals freely participate and everyone profits. 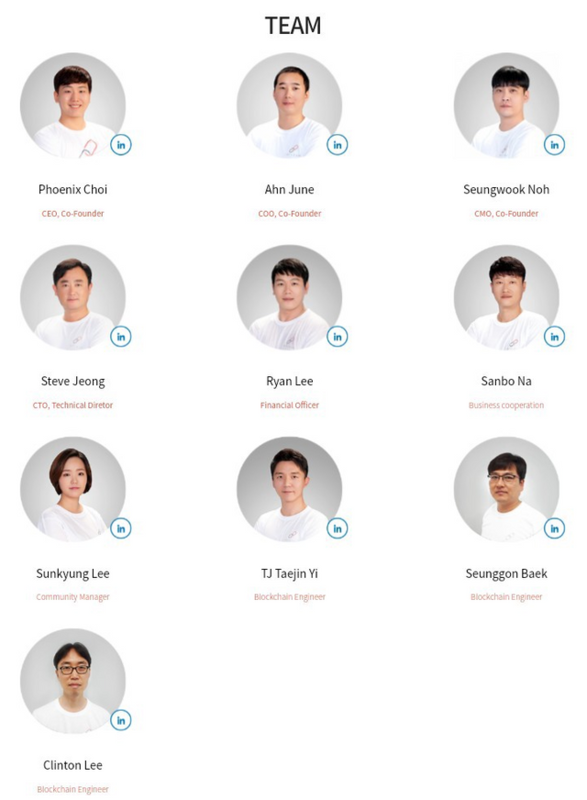 INFLEUM blockchain platform open source software. Developers declare their product as an effective tool to make the trading structure transparent, reliable and profitable for all participants. 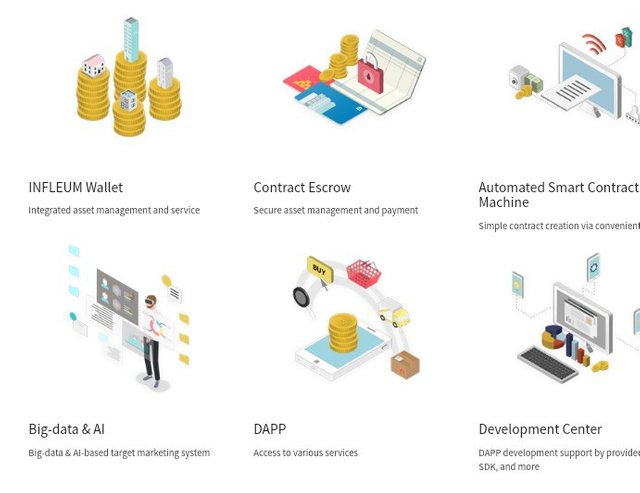 The ecosystem consists of 8 different services created by ELSOL. The way to earn will be the analysis of marketing activity, that is, the application will evaluate the impact of the user and distribute the reward depending on how active the position of the company/consumer. Another factor that influences rewards is brand activity at different stages: marketing, payment, investment, consumption, network, distribution. 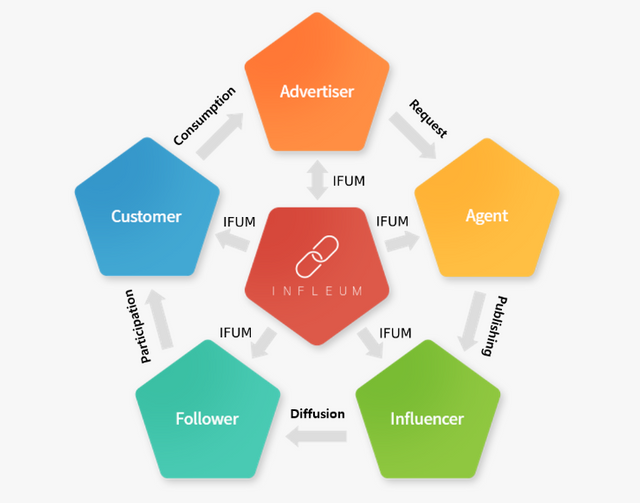 The initial version of INFLEUM Platform’s main functions are in advertising and brand publishing. The process starts with the advertiser submitting an ad/marketing request. At this point the advertiser selects a suitable type of campaign and fills in the smart contract details (e.g. region, marketing target, period, budget, types of activities). To clarify, anyone can easily use the Smart Contract Agent Machine as there is no special standard for a user to become an advertiser. Once the smart contract and all activities outlined in the contract by all parties are finished, an objective evaluation is conducted and compensation rewards are given to participating users under fair standards. Thus, the demands of all parties, including companies and service providers, creators, bloggers, and consumers are satisfied in one single brand publishing service ecosystem. INFLEUM creates a reliable brand publishing ecosystem with the following features. For maximum convenience and achieving a high level of functionality on the Infleum platform, all users will have their own personal combined wallet, which will be given to everyone automatically after registration. This wallet acts as a user identifier and means to manage finances. The wallet uses the Infinity Code identification system to track dynamics and verify all user activities. Infinity Code - is a code that stores all data about each user and smart contract. This code is updated continuously when a transaction is added to a smart contract, then the register is registered in a decentralized user and application wallet. All nodes in the Infleum ecosystem are interconnected through this code. Also, the node periodically passes a validation check, as a result of this process it is possible to carry out the same transaction at one time. Each user can add additional identification certificates to the Infinity code to protect their application or wallet. When the advertiser makes a smart contract to fulfill the advertising order, he must pay a guarantor invoice in the IFUM token. This is done for a single purpose - prevention of monetary losses. The customer deposits to the guarantor's account, which is frozen until the smart contract conditions are met. For this reason, the guarantor account cannot be hacked and no one has the right to cancel the smart contract, even if the customer wants it. Anyone will be able to register on the Infleum Platform, acquiring a INFLEUM Combined Wallet, and place advertising campaign requests for other users. The requester would generate a smart contract using its Smart Contract Agent Machine, inputting such information as the target audience, region, period, budget and the promotional activity types involved. Once it is joined by interested influencers, this smart contract will be stored on the blockchain. Payments, made in INFLEUM tokens (INFU) set aside by the advertiser, will be executed through an escrow function following an evaluation. If the conditions in the contract are not fulfilled or any illegal transactions are made, the funds placed in escrow upon the signing of the contract will be returned to the contract creator; otherwise, they will be automatically distributed as previously arranged. The platform will track the activities and measure the performance of influencers using a special validation system. It will evaluate them based on the quantity and quality of their activities on the platform, determining the rewards that each influencer on the platform would be due according to a complex “proof of influence” formula. This information will be used to recommend both influencers and the appropriate reward level during smart contract creation. Their performance within a campaign would also determine the final reward distribution. Marketing on the platform could be automated and will be assisted by AI-powered big data analytics. While initially this system will combine an Ethereum sidechain with off-chain evaluation components, eventually Elsol plans to create an Infleum mainnet and move all of this platform's functions there. REDITO - application that helps effectively run ad campaigns. REDITAIL - Application to help start-up projects. SOCU is a credit card storage service for e-commerce. CHANNELJOY - application that uses various types of content. REDINK - helps grow the company as a mentor. RETTEB - assistant for wise use of funds. REDINERO - crowdfunding application to build social relationships. REDICHECK - application for testing products by users.